Today, medical science is advancing more rapidly than ever before, with new treatments and medications developed on an ongoing basis. But sometimes, medical facilities and the nurses that work there can fall a bit behind on the most up-to-date approaches to patient care. Here are three common old-school nursing methods that are still around today, and that need to be phased out and replaced with more up to date methodologies. One surprisingly commonplace issue in the nursing world is the use of outmoded methods of measuring asthma exacerbations. This is of great importance for emergency department nurses. Just as one wouldn’t diagnose a fever in a pediatric patient without taking their temperature, measurement is crucial for the proper diagnosis and management of asthma. Emergency department nurses cannot accurately gauge an asthma patient’s status based on how “bad” they appear. Objective measurement is absolutely crucial. Many old-school methods of measuring asthma are no longer considered current by the medical community as a whole, yet are still used routinely in many emergency departments nationwide. Chest x-rays, for example, are no longer indicated except when a patient is in severe enough condition to be admitted to the ICU. Complete blood cell counts are also not considered necessary anymore, unless there is very good reason to believe that the patient may have bacterial pneumonia. Both arterial blood gas monitoring and breath sounds are also considered outdated means of gauging the status of an asthma patient. It’s been found that significant abnormalities in arterial blood gas do not present until a patient’s condition becomes very severe, and that normal results don’t necessarily indicate that the patient’s status is normal. Breath sounds have also been found to correlate poorly with weak flow, and breath sounds can be normalized when pulmonary function is not. Pulse oximetry, which should be measured during triage. Although oxygen saturation does not necessarily correlate directly with asthma severity, it is a good measure of how well an asthma patient is doing overall. Peak flow meters. This simple way to monitor a patient’s maximum possible outward airflow takes only a few seconds, and the monitors themselves are cheap and portable. Clinical signs. Conversational dyspnea, the use of accessory muscles, nasal flaring, and respiratory rate are also useful measurements. In 2012, a national survey of over 1,000 RNs was conducted by Ohio State University. Originally, 20,000 members of the American Nurses Association were randomly chosen to participate, but only about one in twenty actually responded. Among those respondents, less than 46.4% reported that findings from research studies were routinely implemented at their place of work to improve patient outcomes. Also, fewer than one-third of the respondents said that they had mentorship available that could help them learn more about adopting evidence-based practices. Part of the reason for this is that for many senior nurses, a focus on evidence-based practice marks a major cultural shift. There’s an element of “this is how it’s always been done” at play, and myths and personal observations can all too often take the place of robust bodies of clinical evidence. What’s My Role, As a Nurse, in Evidence-Based Practice? Here’s a good example of how nurses can help facilitate evidence-based practices in their workplaces. Chris Cowal, a nursing student at American Sentinel University, looked to current clinical literature to implement a better pain assessment tool in the critical care units at St. Joseph’s Hospital Health Center in Syracuse, New York. This led to better management of patients’ pain, and earlier discharge from the ICU. In many healthcare settings, outdated communication methods may be getting in nurses’ way when it comes to providing high quality patient care. 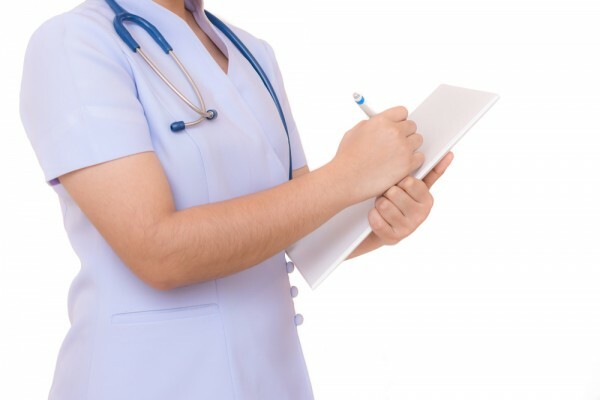 Despite ongoing progress toward transitioning healthcare facilities from paper to digital healthcare records, and the rise of the “paperless office” in medicine, a 2013 study found that 61% of nurses were still using handwritten notes, handwritten charts, and verbal communication almost exclusively to share patient details, medication notes, and other important information. Nurses are highly trained professionals whose involvement is crucial to patient care. Too much time spend on such outdated administrative tasks and inefficient, outmoded communication tools can get in the way of time that could be spent taking care of patients. Another 2013 study from the Ponemon Institute, an independent research organization, found that outdated communication technologies were costing hospitals, as much as $8.3 billion on an annual basis. As long-time nurses, it’s important that we stay up to date with the latest clinical methodologies. As medical science and healthcare technology continue to advance, we must stay on its cutting edge to provide the best possible quality of care to our patients.